Soups are a winter staple, but they are also wonderful in the spring and summer. And while cooking soups in the crockpot is great, sometimes you want soup on the table in a hurry. These quick soup recipes will let you serve your family in less time than it takes to go through the drive-through window! Many are also kid favorites, making them perfect for packing in a thermos for school lunches, or freezing for a quick family dinner on busy weeknights. 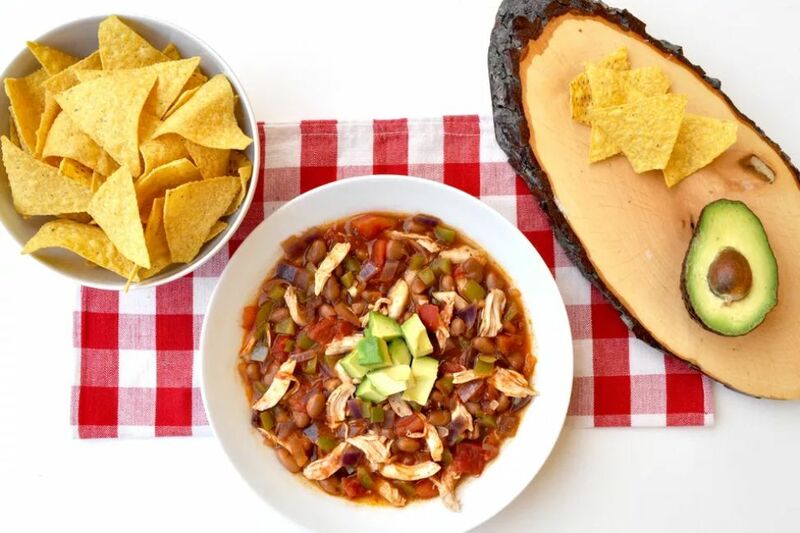 Try taco night in a bowl with this hearty Mexican-style soup brimming with turkey. It is a great way to use up leftover holiday turkey, or you can substitute shredded rotisserie chicken. Serve with crispy tortilla chips on the side. Rich and creamy pumpkin soup makes a wonderfully warming lunch or dinner on cooler days. Make it easily any time of year using store-bought canned pumpkin, frozen corn, prepared chicken broth, onion, half and half, and a few pantry spices. Here is proof that you don't have to cook ramen broth for hours on your stove to create a good depth of flavor. It takes less than 30 minutes with this ramen soup recipe that uses prepared chicken stock, dashi, and soy sauce as its flavor base, with soft ramen noodles and a few other Asian ingredients to round out the bowls. Tomato rice soup makes a great thermos lunch for kids, or a quick and easy soup to serve with grilled cheese sandwiches for lunch or dinner. Make it easily with crushed canned tomatoes, a few chopped vegetables, pantry spices, and rice. Cheese soup is a great idea anytime you're craving a creamy, indulgent-tasting bowl of comfort food. Make it in 30 minutes using your choice of Velveeta or sharp cheddar cheese, plus some chopped veggies, prepared chicken broth, cream, and a few pantry ingredients. Pasta e fagioli is a fabulous main course soup for vegetarians and vegans, because it is packed with protein and fiber, not to mention fantastic flavor and textures. Use small pasta, such as bow ties or little shells, for this traditional Italian bean soup that cooks on your stove top in just 20 minutes. Curried cauliflower soup is creamy, nutritious, smooth, and full of flavor. Cauliflower and onion are simmered in butter with spices, before being pureed and enriched with cream. Serve in bowls topped with garlic croutons, or a sprinkle of fresh chopped herbs. Low in fat, high in fiber, vegetarian-friendly, easy on the budget, and loaded with great flavor, this Mexican black bean soup has something for everyone. Cook up a big pot in less than 30 minutes using canned black beans, jarred salsa, and pantry spices. For a vegan version, simply omit the cheese. Seaweed is a trendy superfood that's rich in antioxidants, vitamins, minerals, and fiber. This recipe includes it in a classic Chinese-style egg drop soup. The seaweed and egg ribbons give the soup a wonderful silky texture, with fragrant ginger adding even more aroma and taste. This simple cream of asparagus soup is a great way to use up a bounty of vegetables from the farmers market. Use the asparagus cooking liquid to infuse the soup with extra flavor. Serve it with crusty rolls, or garlic bread, for a filling lunch, or a light dinner. 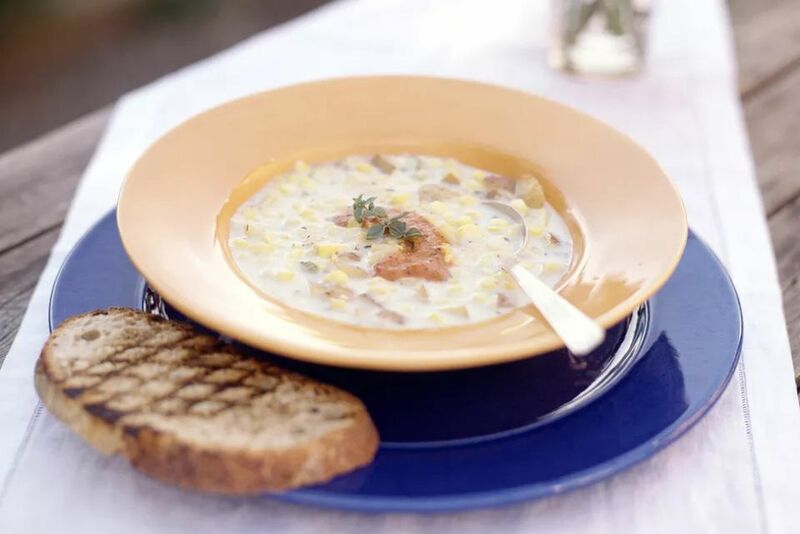 When you crave a comforting, filling soup, make a big batch of this hearty corn chowder with bacon that's ready to serve in about half an hour. You can easily substitute ham for the bacon if you'd like. Use thick-cut smoked bacon for a more intensely flavored soup. Tuscan vegetable soup is a rustic, "kitchen sink" style soup that's a great way to use up stale bread and vegetables from your crisper. Top with plenty of grated pecorino or parmesan cheese, for a soothing, nutritious taste of Italy, fast! You only need 10 minutes to make this cold mango soup you can enjoy for lunch, or as an elegant first course at dinner on hot summer days. The recipe is vegan and gluten-free, and gets a nice, spicy kick from chili peppers and ginger. Fresh lime juice brightens up the whole bowl. Cook up this easy, vegan and vegetarian-friendly garlic miso soup when you want to chase away the sniffles. It's easy to make in just 15 minutes, with miso, tofu, sliced shiitake mushrooms, scallions, and a few more ingredients. Chilled vegan cucumber soup is a wonderfully cooling summer starter that's a great way to use up cucumbers from your garden, and makes a nice change from gazpacho. Soy milk makes it super creamy, with chopped fresh dill for plenty of flavor.